The Practical Cyclist's Blog: Yuba in the Mundo! 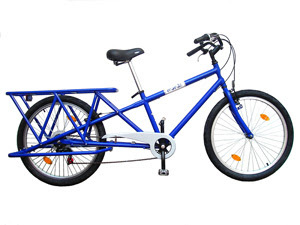 Rock the Bike is expecting Yuba Mundo longtail cargo bikes this month. This bike could be The Practical Cyclist's favorite bike ever, if it lives up to expectations. I am VERY excited. The question is, how can I get to ride and review it without buying it. Is anyone in the DC area, or the Mid-Atlantic states, planning on buying one soon? Please get in touch with The Practical Cyclist.